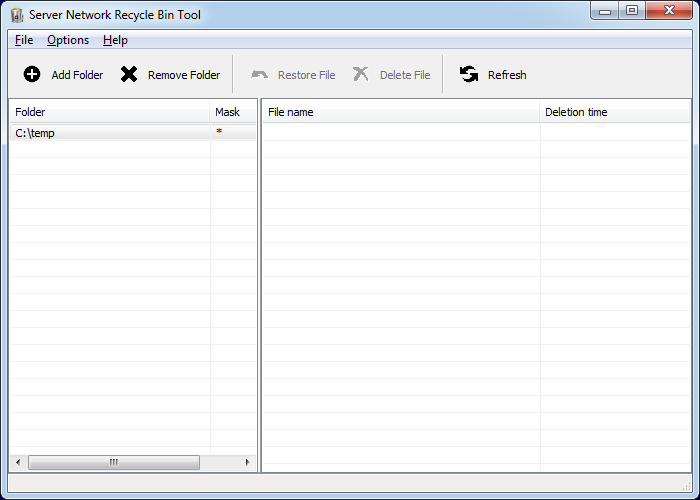 Network Shares Recycle Bin - The Network Shared Recycle Bin allows you to backup and recover deleted files on the server side. Once you have this tool in your system, it will automatically keep a track of all the network deleted files and you can easily recover them. When you delete a file stored on a network location or mapped network drive that the file is permanently deleted. It does not go to the local computer\'s recycle bin and does not go to the server\'s recycle bin. Advanced Task Scheduler is an award-winning task scheduler, which allows you to automate all your day-to-day tasks. Start programs, scripts, shut down your system, establish network connections: everything you could want to automate. It allows you to schedule a whole range of standard tasks, send network and e-mail messages, initiate HTTP and FTP transfers, and much more. Radmin is fast remote control software for secure access to remote computer via Internet or LAN in multiple modes: view remote desktop, control remote PC\'s keyboard and mouse, file transfer, telnet, remote turn on/off, BIOS remote control, text and voice chat. Radmin includes Intel(R) AMT support, Windows 8,Windows 10 support, Windows security, 256-bit AES encryption, multiple monitors support and unique DirectScreenTransfer(TM) technology.